20 cm li, 327 p.
Reprint. This ed. originally published: 2004. "Pray, pray be composed," cried Elinor, "and do not betray what you feel to every body present. Perhaps he has not observed you yet. "For Elinor Dashwood, sensible and sensitive, and her romantic, impetuous younger sister Marianne, the prospect of marrying the men they love appears remote. In a world ruled by money and self-interest, the Dashwood sisters have neither fortune nor connections. Concerned for others and for social proprieties, Elinor is ill-equipped to compete with self-centred fortune-hunters like Lucy Steele, whilst Marianne's unswerving belief in the truth of her own feelings makes her more dangerouslysusceptible to the designs of unscrupulous men. 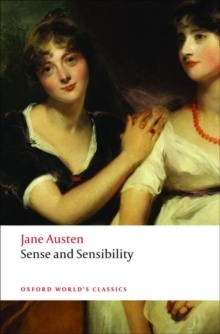 Through her heroines' parallel experiences of love, loss, and hope, Jane Austen offers a powerful analysis of the ways in which women's lives were shaped by the claustrophobic society in which they had to survive.